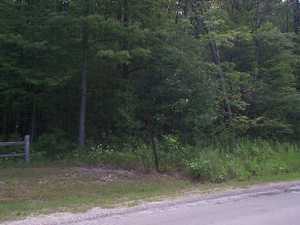 1.18 acre residential wooded lot on North Conway Road, 1.6 miles from US 31 in Conway and access to public boat launching and bathing beach on Crooked Lake, an inland waterway. Also, 1/2 mile from the Emmet County Road Commission, 1.65 miles from the US Post Office, and 2.7 miles from Chestnut Valley Golf Course. 10 minutes to Boyne Highlands and Nub´s Nob ski resorts. 1.5 miles to snowmobile trail and NEW bicycle path. 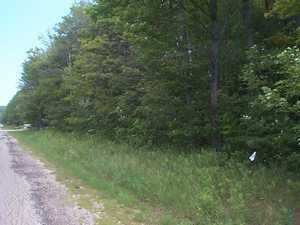 Paved road frontage is 126.81´ and depth is 411.59´. Trees on lot are relatively small in circumference. Previously approved for septic system. Approximately 6.5 miles to City of Petoskey. Picture #1 is the northwest corner of the lot line. It is the tall metal post just to the right of the split rail fence. Picture #2 is the frontage on North Conway Road. 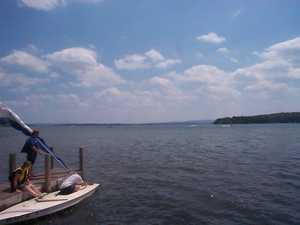 The tall metal pole on the left side of the picture to the white flag on the right side of the picture is the frontage. Lot is across the road from 7350 North Conway Road. 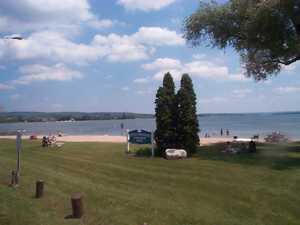 Picture# 3 is of Little Traverse Township Park (bathing beach). 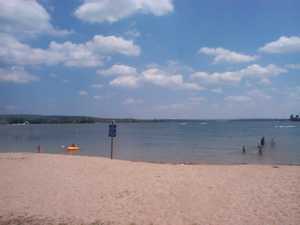 Picture #4 is a view of Crooked Lake from the beach. It is just west of North Conway Road on US 31. 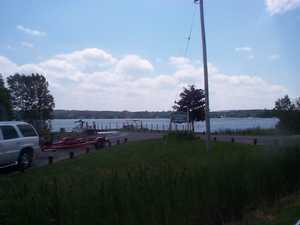 Pictures # 5 & #6 are of the Little Traverse Township Boat Launch. It is just east of North Conway Road on US 31. 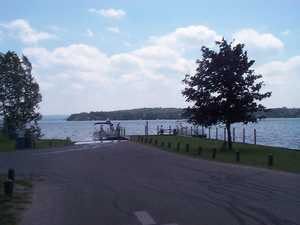 Picture #7 is a view of Crooked Lake from the boat launch. From US 31 in Conway at N. Conway Road (Parks Place Cafe), go north 1.6 miles. Lot is on right hand side of road and the northwest lot line corner is at the tall metal sign post, with no sign on it, where the split rail fence ends. This listing has been visited 5213 times. FSBO Michigan does not accept responsibility for the accuracy of the information provided to us for inclusion on this page. Hello, I'm interested in your property on fsboMichigan.com.